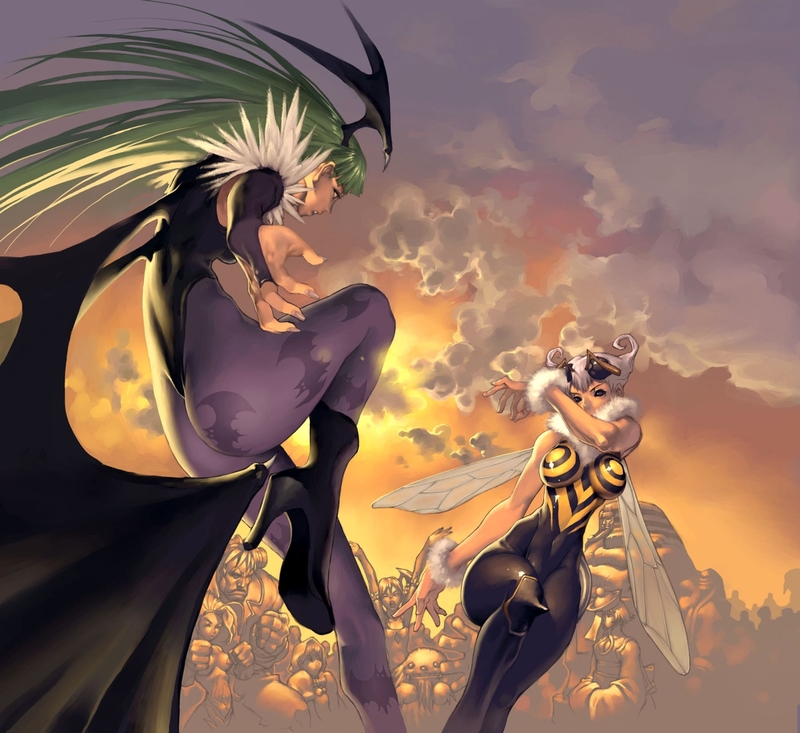 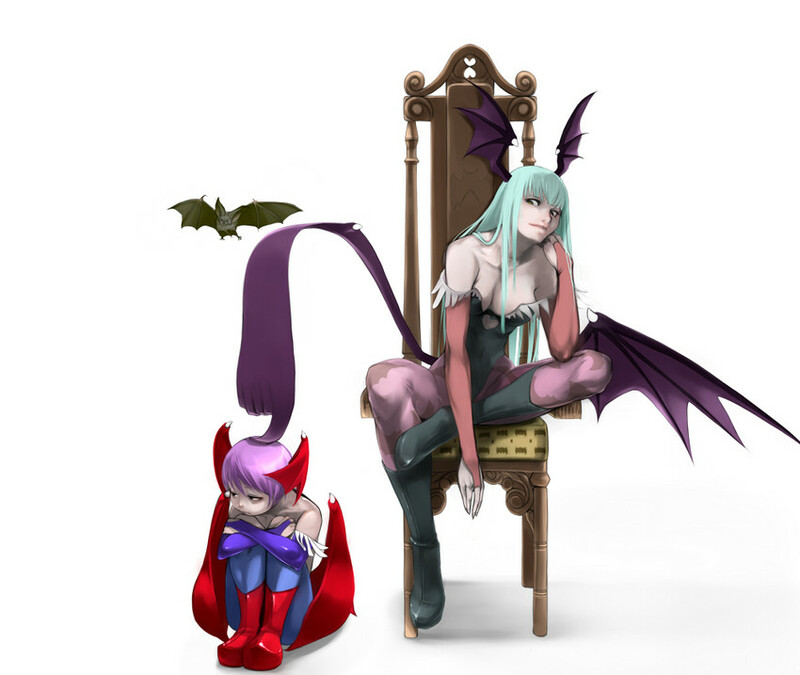 The vampire series / Morrigan Aensland / Fan art / portrait illustration 'AENSLAND TOWN' by Drigz Abrot. 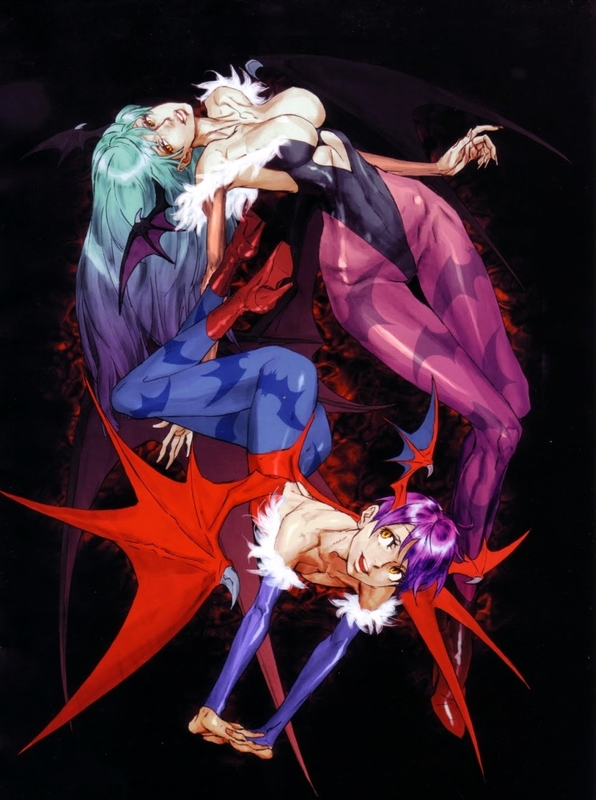 Vampire series / Morrigan / Fan art by Iwata Kinuyo (いわた きぬよ). 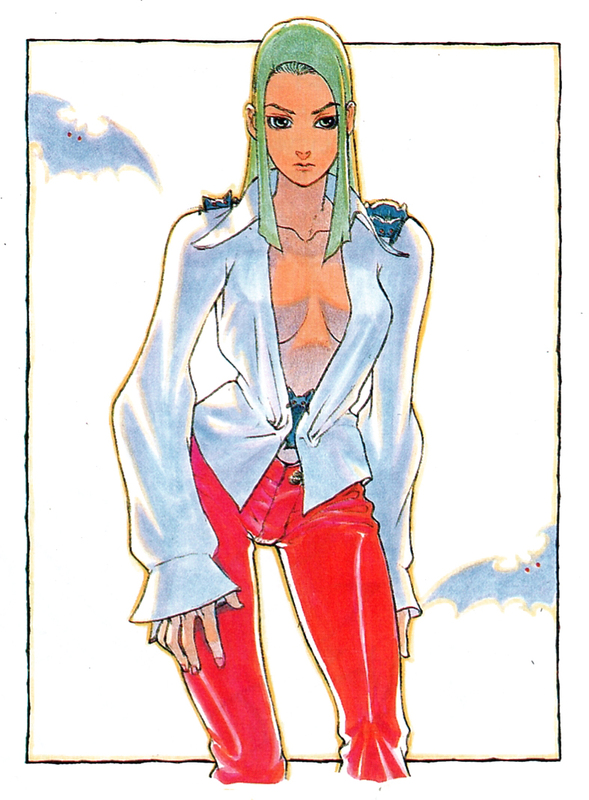 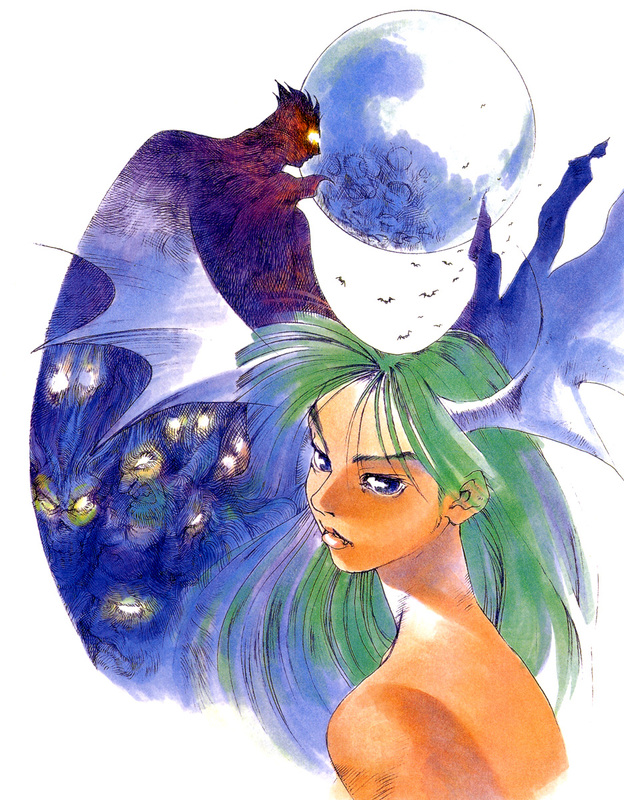 Vampire ~The Night Warriors~ / Promotional art ~ game show illustration / Morrigan X Demitri [including roster portraits] by Bengus~CRMK / 1994.